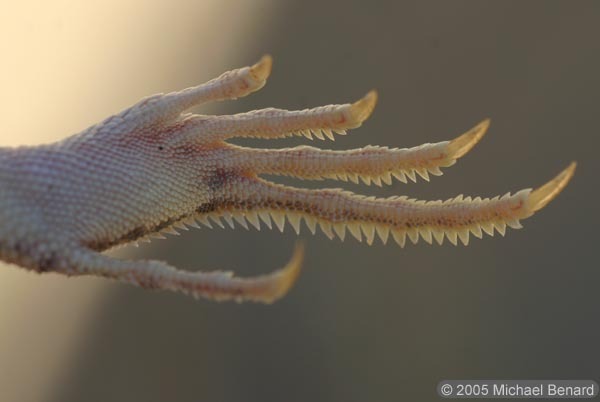 Mojave Fringe-Toed Lizard (Uma Scoparia, potographed in San Bernadino Co., CA. 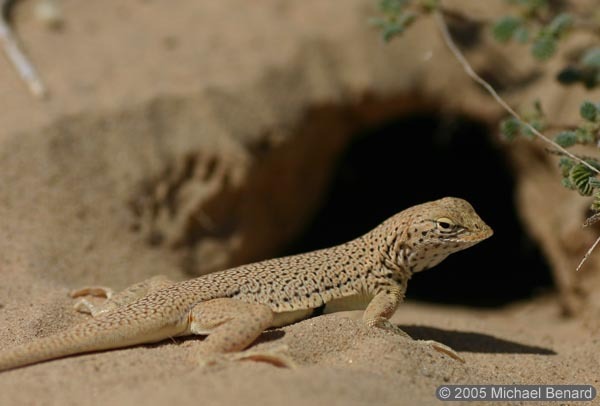 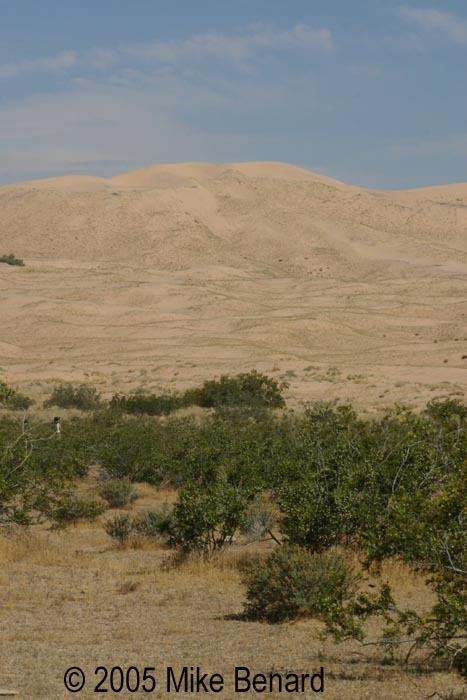 These lizards are well-adapted to the habitat that they live in, sand dunes. 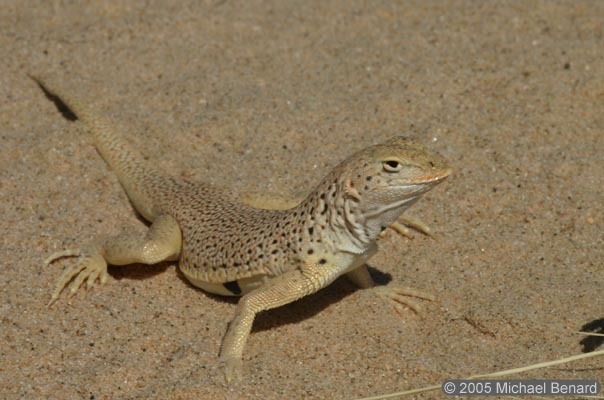 One of their adaptations are unique fringes on their toes that improve their ability to run in sand.